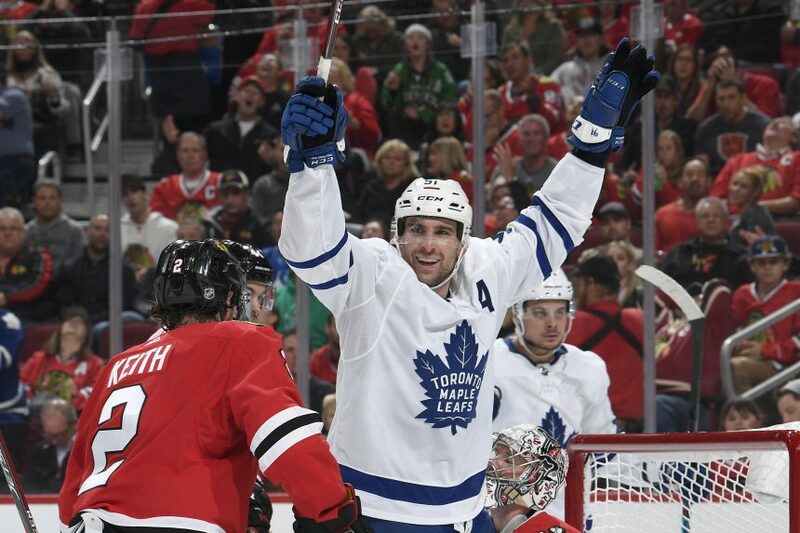 Point Shot: Maple Leafs Stick to their Gameplan in Comeback Win - The Point Data-driven hockey storytelling that gets right to the point. The Toronto Maple Leafs rallied back from down two goals to beat the Columbus Blue Jackets 4-2 last night and they did it by playing to their strengths. As we’ve talked about earlier the Leafs attempt more stretch passes than any team in the league but have one of the worst completion rates. 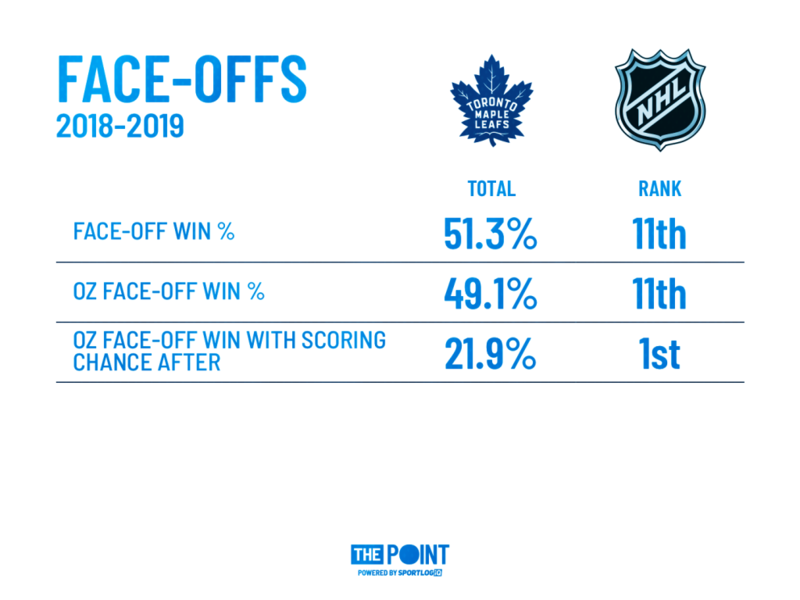 We concluded that the reward outweighs the risk and the Leafs proved that once again last night when their second goal was scored off a completed stretch pass. Kasperi Kapanen threw a puck up to Mitch Marner at the Blue Jackets blue line who then made a move on the defenseman and eventually hit John Tavares in front for the tying goal. For the go-ahead goal, the Leafs relied on their ability to create offense off set face-off plays. Toronto is currently 11th in the league in offensive zone face-off win percentage but it’s deadly when it gets a win. The Leafs create scoring chances off nearly 1 in 5 won draws in the Ozone, best in the league. With 4 minutes left, the Leafs decided to switch Zach Hyman in for Tavares on the draw so that they had a right hand shot taking it on his strong side. Hyman then won the puck to Tavares and made a bee-line for the front of the net. Tavares dished the puck to Morgan Rielly who saw Hyman in front and let a perfect shot go that Hyman easily deflected past Sergei Bobrovsky. A very simple but effective play. The Leafs didn’t panic after going down 2-0, instead, they stuck to what’s worked for them and battled back. Columbus is the top team in the Metropolitan division right now so being able to complete the comeback against them, at home mind you, should give the Leafs plenty of confidence going forward.